Dazzlingly inventive and diverse… glorious, sweet and funny… Another fine addition to the Dylan Thomas shell providing insight into the man and his art. 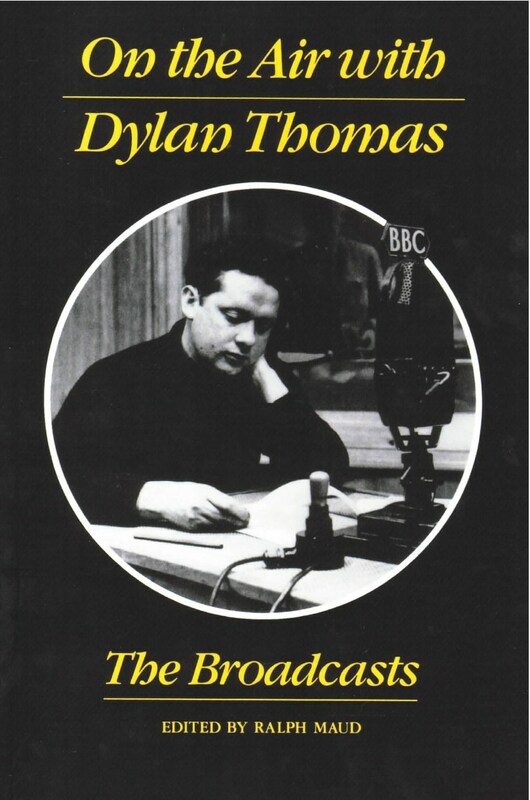 A book full of surprises and delights, On the Air with Dylan Thomas presents all of Thomas’s BBC radio work (with the exception of “Under Milk Wood”, which is available separately). Thomas served his broadcasting apprenticeship as a teenager with his friend Daniel Jones. They set up a “station” between the second and first floors of the Jones’ home “Warmley,” dubbing it the Warmley Broadcasting Company. Then, starting in 1943 and continuing to his death, Thomas often sat behind a BBC microphone, variously giving radio talks, introducing poetry selections, participating in round-table discussions, reading dramas, essays, and poems. His was a glorious voice and he had a special case and inventiveness on the air.